Our Work | Yankee Communications, Inc.
Yankee provided this large-scale public utility company with community and government relations support for its proposed Bakersfield Power Connect project. This project will improve electricity reliability and efficiency for customers in Bakersfield and surrounding rural communities of Kern County. Executed a variety of governmental relations and public affairs strategies related to 8ME’s solar projects in Kern County. Upon completion of its fourth farm, the solar cluster will have a combined annual production capacity of nearly 200 million kilowatt hours of electricity. 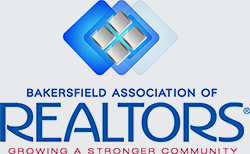 Yankee Communications was retained by the Bakersfield Association of Realtors to initiate a campaign to rescind the Property Assessed Clean Energy (PACE) home improvement program in Bakersfield and Kern County. Yankee was successful in both jurisdictions. We provide ongoing government and community relations support on key development projects for Dignity Health. Currently advise three hospitals in their Bakersfield market – Memorial, Mercy Downtown and Mercy Southwest Hospitals. Yankee initiated strategy to present the Commons project to the Bakersfield Planning Commission, Bakersfield City Council, non-governmental organizations and local residents gaining approval in 2016. Once built, the project will provide retail, industrial, healthcare, office space and multi-family housing. Groundbreaking is scheduled to commence in 2019. Yankee Communications represents five of the largest rural haulers locally and helps navigate the sensitive issues of waste management in Kern County. Yankee Communications played a vital role in securing approval by the Board of Supervisors resulting in operational franchise extensions for all four haulers in Kern County until 2034. We successfully guided the retailers Supercenter expansion efforts by providing government affairs, reputation management and community relations support. Yankee helped craft the messaging presented to elected officials and was successful in securing approval of ten projects in Kern and Tulare counties. We assisted the Grimm Family Education Foundation in obtaining approval of its school charter for Grimmway Academy, in Arvin, California. We helped shape the initial story, garnered community support and provided government relations resulting in approval of said charter through the Kern County Board of Education.